A pretty spring day for a romantic vintage themed wedding at Elliston Vineyards in Sunol California. The beautiful bride wore a dress with vintage inspired lace and carried a bouquet of garden roses, ranunculus, tea roses, and seeded eucalyptus. 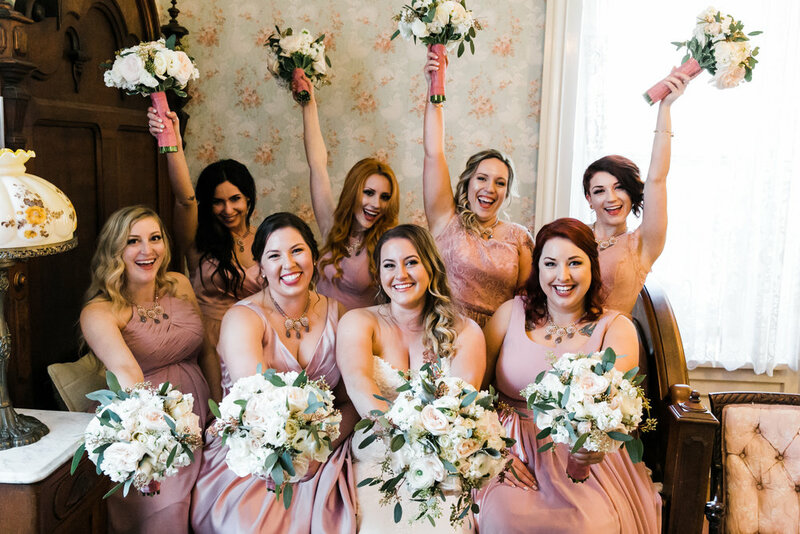 The bridesmaids wore antique rose dresses, and carried bouquets matching the brides. The groom and groomsmen had white tea rose and eucalyptus boutonnieres. 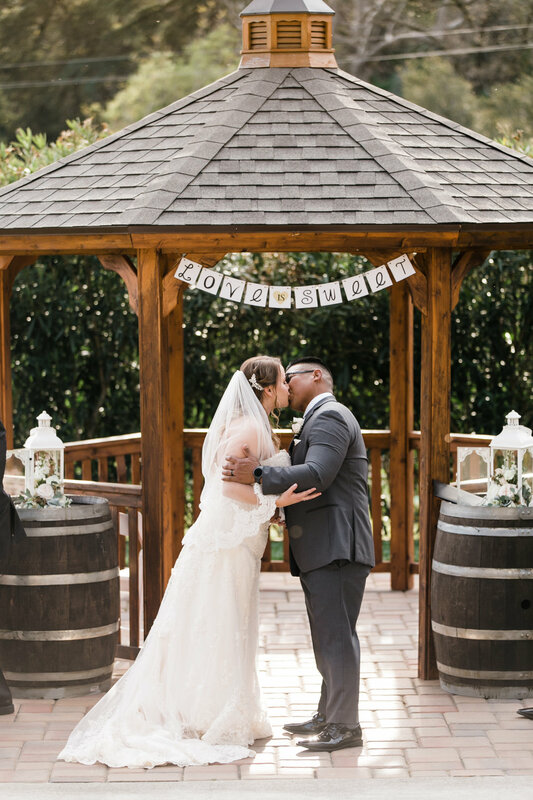 The outdoor ceremony held by the gazebo next to the historical mansion, the couple said their "i do's" under a "Love is Sweet" sign with vintage inspired lanterns filled with flowers, and rose petals along the sides of the aisle. The reception continued on with the vintage theme, post card table numbers, lanterns, and bud vases with roses were used as centerpieces. 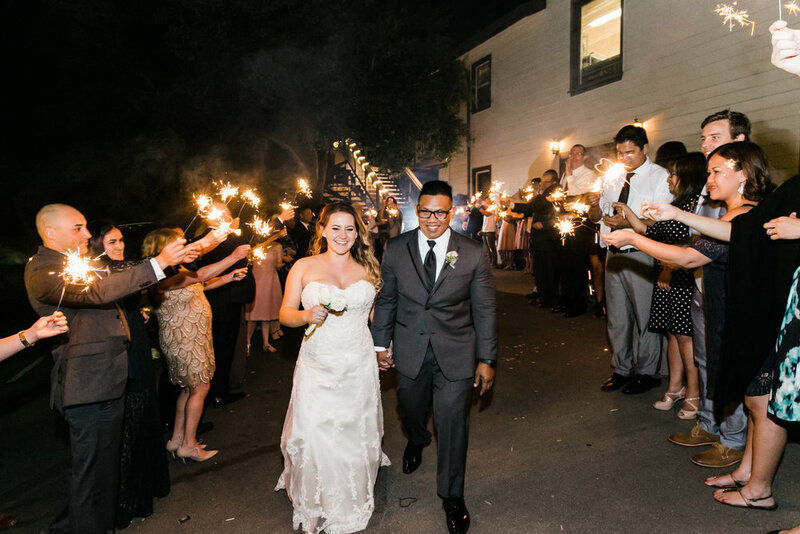 The day was captured by Ryan Greenleaf Photography.